You guys seemed to really like the White Chocolate & Red Velvet Fudge I posted last week – so I hope you’re similarly keen on these Chocolate Chip Cookie Dough Truffles! They’re even easier, too, which can only be a good thing. There are lots of recipes on the likes of Pinterest for edible cookie dough (that is, generally, replacing the eggs with something you can happily eat raw) so I just went in that direction and covered them in chocolate. Et voila! 300g chocolate for coating – white, milk, dark – up to you! 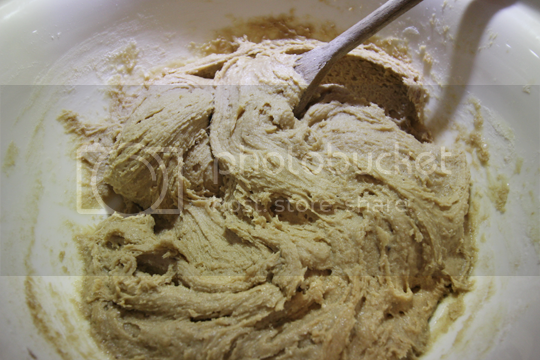 Start by creaming together the butter and sugar in a large bowl. You can totally do this with an electric mixer if you prefer, but it’s a quick and simple enough recipe that I’d rather just have one bowl and spoon to wash up! Sift the flour to remove any lumps, and gradually add a couple of spoonfuls of this to the bowl along with splashes of the condensed milk, incorporating each bit you add fully before adding the next. 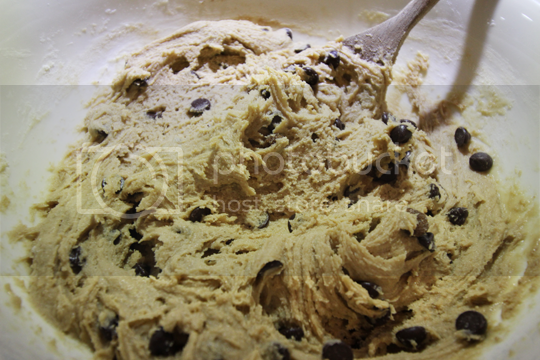 Once all mixed together, throw in your chocolate chips and stir through. Now, pop the bowl in the fridge for about 2 hours to firm up the mixture and go entertain yourself elsewhere. 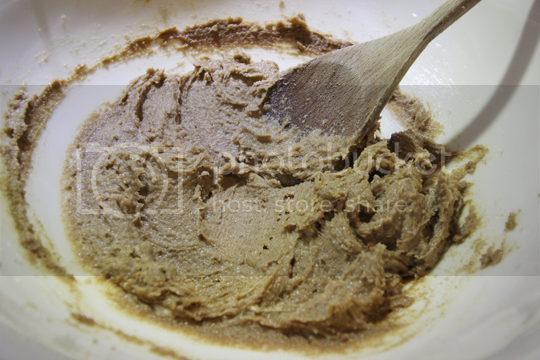 Once the mixture has chilled well, take a teaspoon and scrape a teaspoonful out. Roll it quickly and gently to form a ball shape – it by no means needs to be perfect. You might find it easier to very lightly flour your hands for this part as the mixture will become sticky fairly quickly. 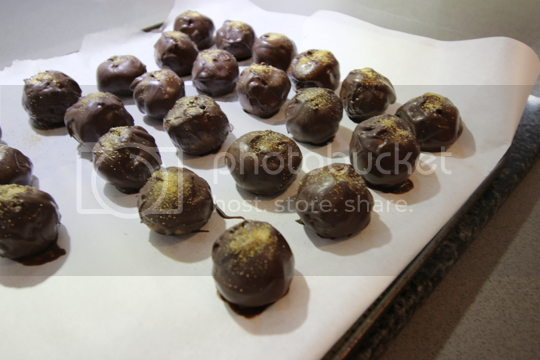 As you create the balls, drop them onto a baking sheet lined with greaseproof paper. 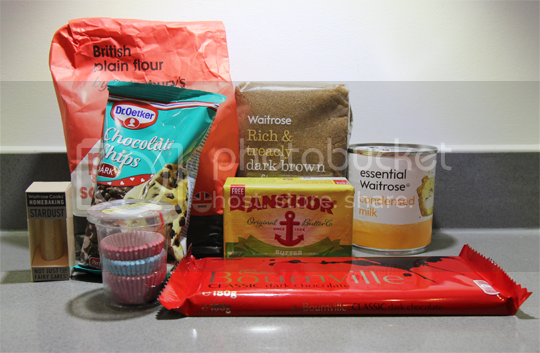 You should get approx 60-70 truffles out of this, so plenty to give as gifts to a few people! 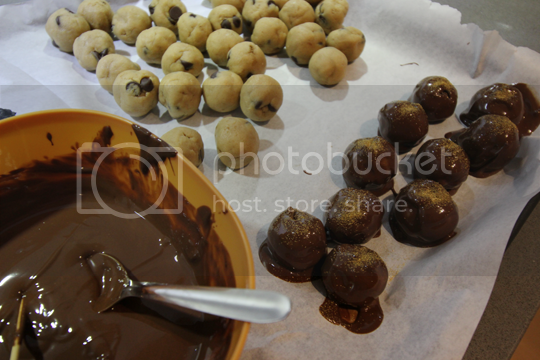 Stick the tray of cookie dough balls back in the fridge for half an hour or so to firm up again before coating them. 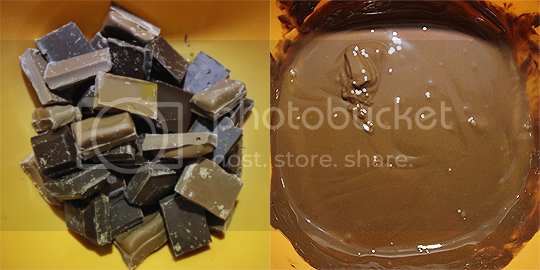 Now, melt your chocolate however you prefer – bain marie or in the microwave. I’ve not listed it in the ingredients, but I would suggest adding the tiniest drizzle of oil when melting the chocolate to keep it shiny when it sets. You’ll probably find that you faff about with the first few, but you quite quickly get into a rhythm with coating the truffles. The easiest and quickest way I found was to stab a truffle with a skewer, hold it over the bowl of melted chocolate and spoon it over. It wastes less chocolate and is easier to drop back onto the baking sheet. When you’re all done, add your decorations if using and chill again to set the chocolate before dropping into petit four cases and packaging however you like. Do keep them in the fridge until serving, and enjoy! 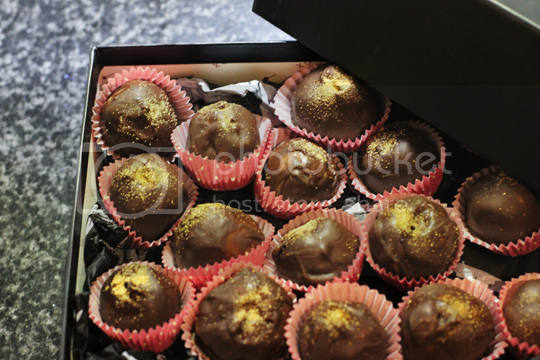 TIP: If you’re adding glitter or another decoration, sprinkle this on every few truffles as you’ll need to do it while the chocolate is still wet, it won’t stick to set chocolate. 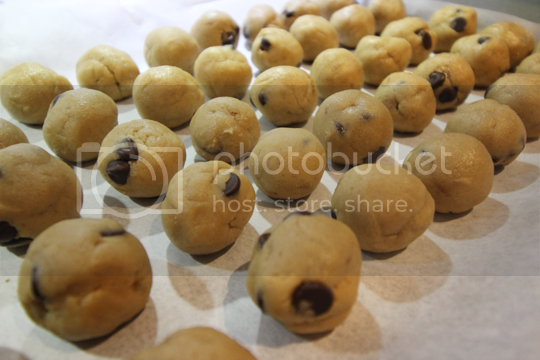 TIP: Take the uncoated cookie dough balls out of the fridge in batches of no more than about 20, they’re much easier to coat when they’re chilled and if you get them all out at once they’ll go a bit soft. TIP: If using petit four cases, wait until they’re set before you put them in – they’ll look neater and you’ll waste less chocolate. TIP: These can be frozen, so they’re great for making in advance. Just get them out of the freezer the day you need them and give them about two hours defrosting in the fridge or an hour on the side. Will you be making these little mouthfuls of awesome?